I’ve just drowned in Wikipedia, as I often do. Writing this blog post has reminded me of two things, my beloved Italian friend Anastasia answering the phone with an efficient “Pronto!” (meaning “ready!”) and that the favoured supermarket of my childhood was the now sadly defunct Presto (meaning “fast”). Wikipedia has a whole list of sadly defunct shops. It’s a veritable mine of information for radio phone ins and quite likely, a future Maison Cupcake blog post that will get Scrumptious Sally highly excited. Tonight’s macaroni cheese was ready fast, it was pronto presto. Indeed it’s from a recipe in Nigella Express in which a roux cheese sauce is forsaken for a mixture of eggs, evaporated milk and grated cheese. It’s deeply comforting to eat and I managed to make it whilst entertaining a 3 year old and making (shhh! burnt!) cookies. I’m delighted to be hosting this week’s Presto Pasta Nights organised by Ruth from Once Upon a Feast. You have 7 days to cook your pasta or noodle dish if you want to be included in next Friday’s round up. 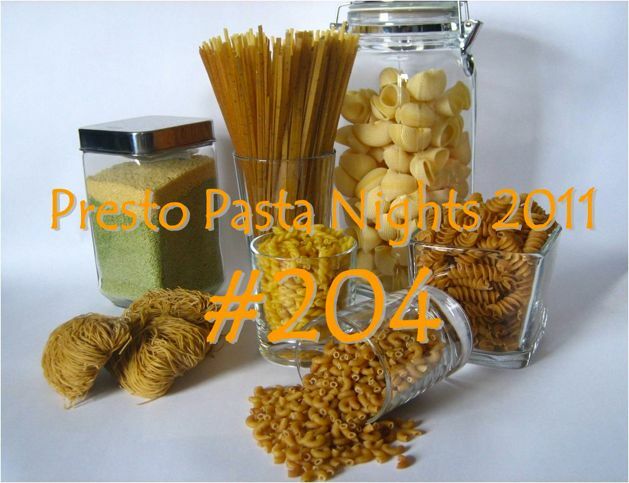 2) You must mention Presto Pasta Nights and link to this post. 3) Email your entry to me at sarah AT maisoncupcake DOT com with a cc to Ruth AT 4EveryKitchen DOT com and the link to your post no later than Thursday 10th March evening so I can have the roundup ready on Friday 11th March. 4) As for photos: – it’s best to attach a jpeg of your dish in your email. Although I usually just copy the one on your post. If you wish to use a PPN logo, just copy it from above. There are several food blogging events that require you to only submit your post to them. Presto Pasta Nights is happy for you to submit to as many as you want to broaden the readership. Which seems an opportune moment for me to say, if you are cooking a pasta dish by Nigella Lawson, you can also enter it to my regular event Forever Nigella which is themed “Ciao Italia” this time round. For further details see here. I am sending my macaroni cheese to Forever Nigella but in line with the rules, I am not reproducing the recipe since I followed it to the letter. However you can see the recipe here at Nigella.com. Yes, little tummies are so impatient! Wonderful! That is a dish I adore. 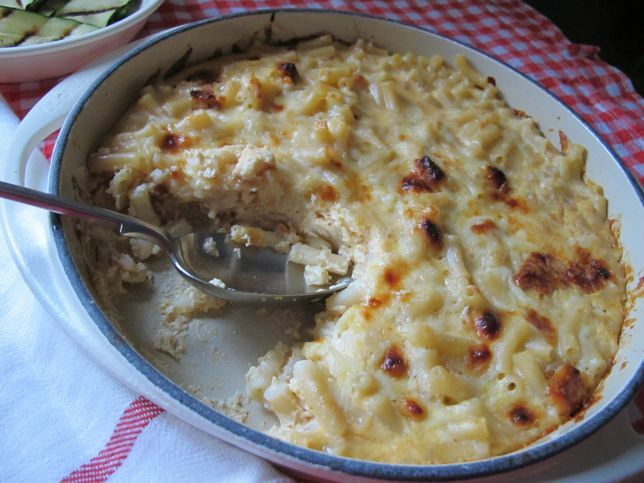 Macaroni cheese is hard to beat isn’t it? That looks really tasty! I cant even remember the last time I had macaroni cheese! Sorry for the incredibly stupid question, but when you say noodle does that mean sheet pasta (like lasagne or ravioli) can’t be used? This looks like a perfect meal for the snowy weather we’ve been having! Seems like mac ‘n cheese was in the air this week. So many delightful variations on a comforting theme. Yours both looks and sounds delicious. 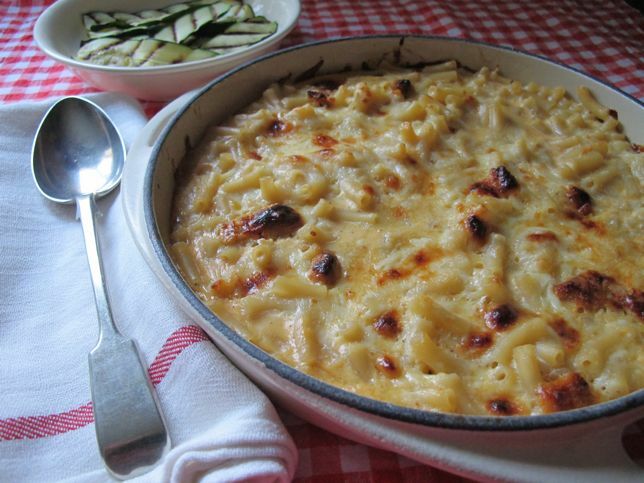 Mmm I adore macaroni cheese, have never made with evap milk though so will definitely have to try! I love all the brown bits on top, we always fight over who gets the crispy bits! Yummy. Nice idea with Presto Pasta Night. Maybe I will also participate.